Wow, what a thing. 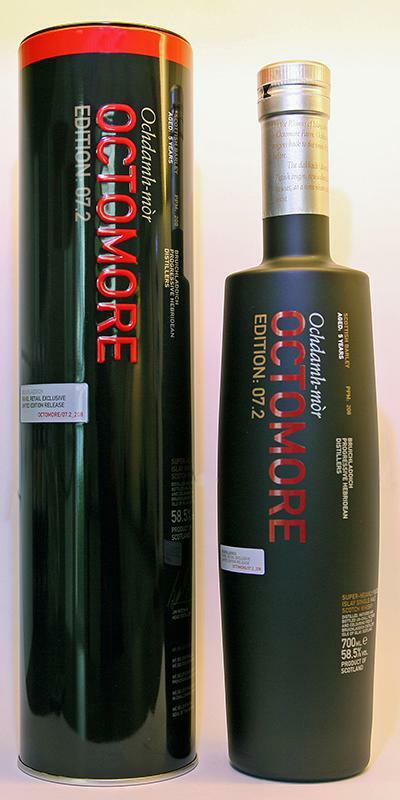 This Octomore is surprisingly soft and fruity compared to the Octomore 06.1 / 167. 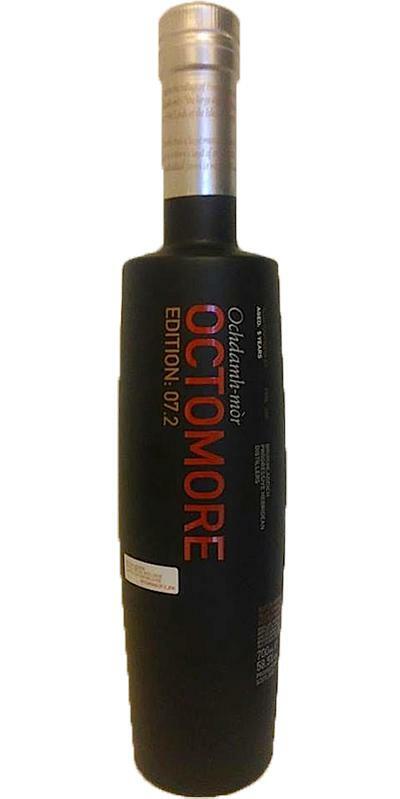 Of course, extremely malted peat, but this fruity freshness makes this Octomore something special. I like it! Fine malty peat pours out of the glass. An amazing freshness and fruit is clearly noticeable. 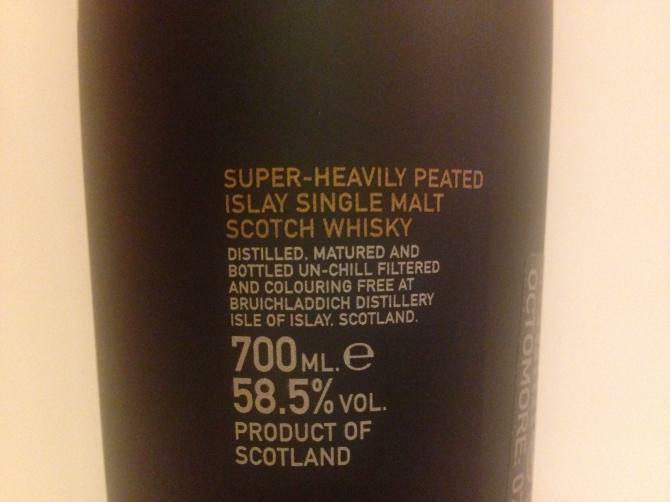 A fine smoky note fights against the peat and loses significantly. Again, this light fruit. This fruit is just here, then again only sweet malty peat. Immediately a smoky smoky peat hits me. Short comes some fruit to light before the high alcohol content stuns the palate. 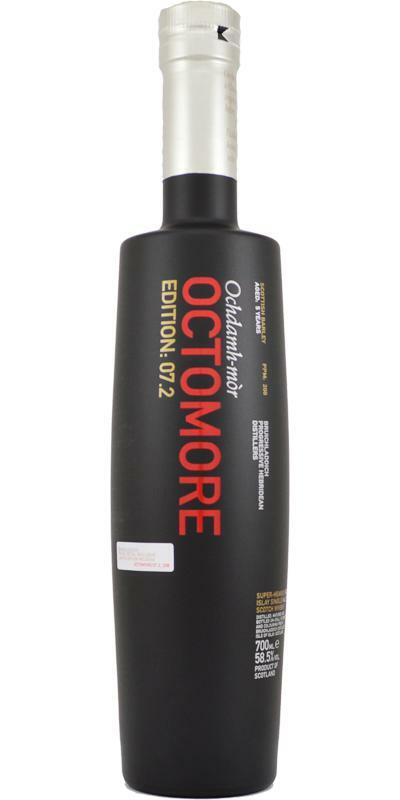 After adding a little water, the second sip develops a wonderfully peaty aroma. A subtle smoke is above the peat. An amazing fruitiness fights through the peat and turns the peat into an incredibly soft peat aroma. How can it be otherwise, first only this fruity peat. Slowly, some smoke is added. The finish is surprisingly short and fresh. Actually, the finish is already long, with the fruity freshness of the peat of the departure relatively quickly neutralized. Loads of earthy peat with lots of smoke (which actually comes across in a surprisingly mild way), slightly ashy, sea salt, piccalilly, pepper, butter, vanilla, oranges, lemons, peaches, wood shavings. Salty, earthy, pu-erh tea, oily, vanilla, sweet and sour lemon, liquorice, chili pepper, black pepper and some ashy bitterness. Very long: liquorice, black pepper and charcoal. 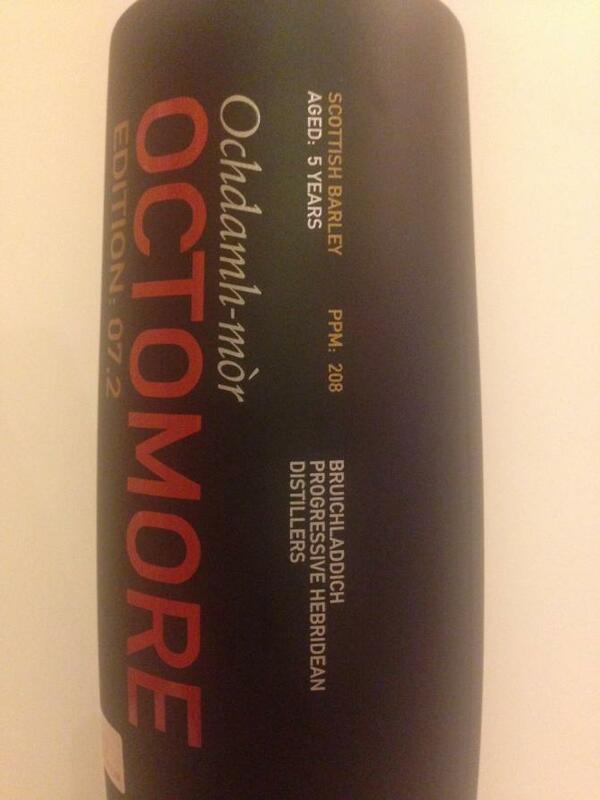 Wonderfully light, not pungent at all - amazingly this 208ppm whisky doesn't hit you in the face with peat at all. Fresh, fruity, then smoke. Long and lingering. It stays with you a long time, going from fresh fruits to candycane, honey, vanilla and caramel and fading in smoke. A complex, smoky whisky with a long finish. Can easily tolerate a few drops of water. You do not notice his young age at all. Big peat, but not so much that finally with an immediate sweetness too. There is red fruit here, as well as malt. Super frank attack on the palate, very spicy, very intense. Very long on peat and cold ashes. An extravagant, very young malt, which was allowed to mature in excellent barrels. The smoke is very well integrated. 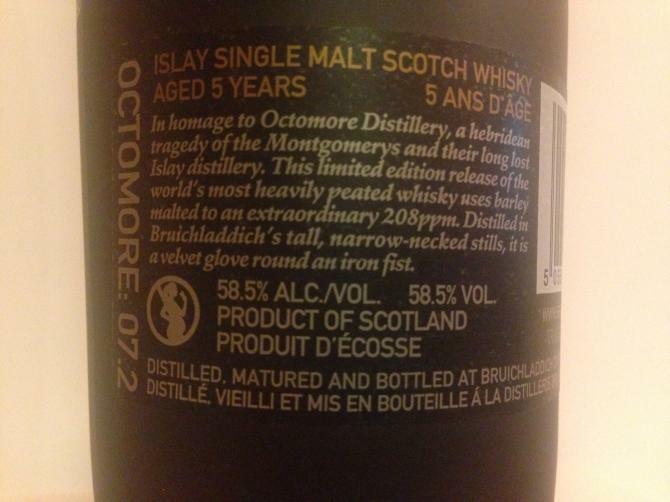 diluted: stronger, full-bodied, fruity (peach, grapes), sweetness, smoke is above everything, cereals, malt; still young! 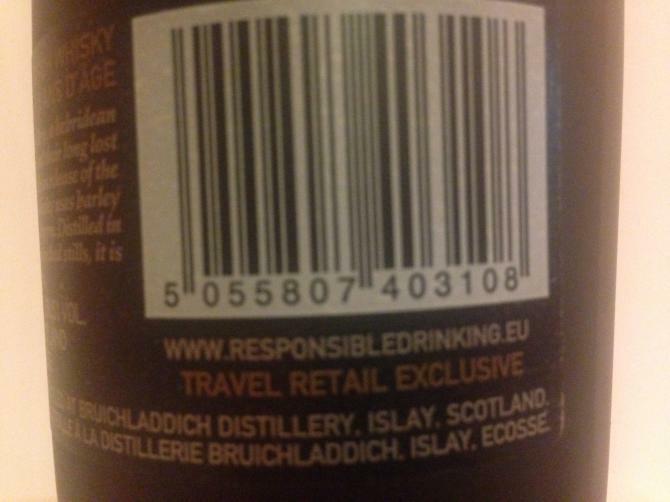 A funny experience, but at over €100 a bottle I think I preferred buying my 2cl at a bar and leaving it at that. Smoked ham, a rubber hose, and farmy peat. A bit too farmy for my tastes, with some manure and a horse in there. Water ups the farmy notes which is unfortunate. There is a sweet layer on top of the whisky, not completely integrated with the distillate. The taste sure is bold but it's not exactly my style. Ham, sugared tar liquorice (astonishingly vivid Tervaleijona notes for you FInns), and young oak. The body is quite soft and oily, not at all what the PPM leads to expect. Water blows the peat right out of proportion on the first spoonful. Sensory overload. More water settles it down and a dirty, sooty, astringent peat emerges. Neat it's liquefied tar liquorice candy. With water it becomes more tannic and sooty, and less likable.